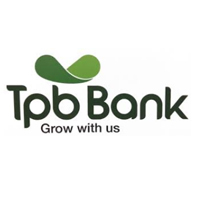 TPB Bank PLC seeks to appoint dedicated, self motivated and highly organized IT Support Officer (1 position) to join the Directorate of Technology and Operations team). -Responsible for support and troubleshooting of TPB Networks, Applications, Hardware, Wide Area Network (VPN/WAN), Servers and Domain controllers, all other networked hardware including the branch Networks to meet the TPB Network standards, demands and deadlines. -Rendering assistance on ICT Networks security implementations, ensure the network is properly maintained by use of properly configured routers, switches, firewalls, Intrusion and detection of Systems and Domain Controllers. -Support end users and coordinate, guide and prepare standards to ensure reliability and availability of individual systems. -Support all aspects of information systems security, by ensuring that they are operational. -Support implementation of the system/level controls and maintain system documentation. -Assist the Chief Manager on a day to day issues of managing TPB’s infrastructure which include Network, Hardware and Software. -Driving all types of Vehicles in accordance with traffic laws. -To detect any vehicle defects and prompt report to Administrative Officer. -To conduct pre-inspection and ensure cleanliness of the Authority's vehicle prior to starting the engine and driving the vehicle. -To ensure all accessories are in good condition and standby for immediate use at any time. -To ensure that vehicle for authorized purposes only. -To perform any other duties assigned by one’s reporting officer.